From dancing to simply thinking about exercise – these are just two of a whole range of new ideas that offer real promise in combating Parkinson’s disease, from which 160,000 people will suffer by 2020. Every hour, someone in the UK is diagnosed with Parkinson’s disease, a progressive degenerative neurological condition that causes tremor, stiffness, slow movement and a host of other symptoms. The disease strikes one in 100 of us aged over 60, and one in 50 of those aged over 75. Yet despite this, and its many celebrity sufferers over the years – most famously Muhammad Ali, Michael J Fox and Bob Hoskins – it receives far less attention than many other conditions. Thankfully, after years in the research doldrums, there are now glimmers of hope. One of the main drivers of this is the realisation that Parkinson’s is more than just a movement disorder. Dr Alastair Noyce, a Parkinson’s UK senior research fellow at the Institute of Neurology, University College London, says, ‘It affects the central nervous system and involves destruction of cells that produce the brain chemical dopamine, which helps to regulate movement, mood, sleep, memory and emotion. ‘And it’s not only dopamine. Doctors are realising that other brain chemicals are involved, including stress hormones that control the autonomic nervous system responsible for automatic activities such as breathing, blood pressure, heart rate and so on, as well as the feel-good hormone serotonin. ‘By the time people notice movement problems, 50-60% of affected brain cells have been lost, dramatically reducing the chance of slowing down or stopping the disease,’ he adds. So he and a team of scientists are working on a simple way of detecting early symptoms. It’s long been known that the overt symptoms of Parkinson’s are preceded by a run-up period of years, even decades, during which various other changes occur. These include poor sense of smell, sleep problems, in particular disturbed rapid eye movement or dreaming sleep, constipation, daytime sleepiness and mood problems. ‘If we could identify Parkinson’s at this stage we might be better able to slow or modify its course,’ says Dr Noyce. The aim is to come up with a simple tool that GPs and others could use to identify people at risk of Parkinson’s, who could one day be prescribed brain-protective drugs – just as someone with high cholesterol might be prescribed statins to prevent a heart attack. This is all good news, but the benefits of these studies are unlikely to be immediate. So is there anything that could improve life for people with Parkinson’s sooner? Sufferers often report that activity eases symptoms, an observation supported by research. 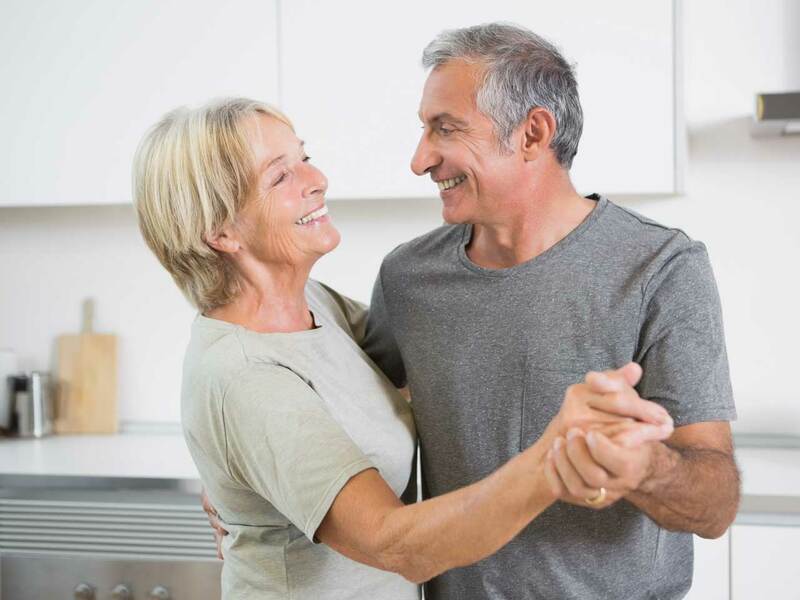 In particular, studies suggest that dance may help to improve both physical symptoms such as poor balance and ‘freezing’, and cognitive skills, such as decision-making, which can be impaired in people with Parkinson’s. Dr Peter Lovatt, founder and director of the University of Hertfordshire’s Dance Psychology Lab, has been testing this theory out. ‘We found that training people with mild to moderate Parkinson’s to do dances with a strong beat and rhythm – for example, the tango, Bollywood-style dance, the Lambeth Walk and Scottish country dancing – improved sufferers’ mood, mobility, thinking and, most importantly of all, quality of life. Improvised dance (that is, dancing with no set steps or rhythm) also had similar effects, as well as improving divergent thinking – the sort we use to make daily choices such as which clothes to wear, what food to eat and where to go on holiday.’ Further studies are planned to try to discover who benefits most from dance and how long the benefits are likely to last. Neuropsychiatrist Professor David Linden of Cardiff University, meanwhile, has been looking at whether ‘brain training’ may help to modify some of the movement symptoms of Parkinson’s. Using MRI scanning to view the brain in action, Prof Linden and his colleagues found that patients in the early stages of the disease can control a part of the brain linked with movement simply by the power of thought. ‘Thinking about activities ranging from gardening to skiing activated the motor cortex, a part of the brain involved in movement, providing proof of principle that it works,’ he says. The next step is to do a larger randomised, controlled trial to confirm the benefits. ‘If we can replicate these results on a larger scale, brain training could be added to existing drug treatment, and in future we may be able to teach people a modified version of the technique to use at home,’ he says. Is Parkinson's disease in the genes? Of course, to develop new drugs it’s essential to understand the underlying causes of Parkinson’s, and research is moving apace in this area. For years the cause of the disease has been elusive. 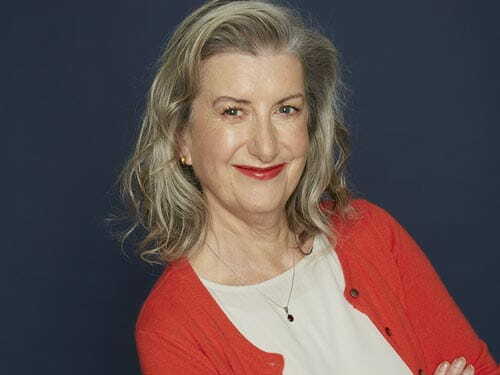 ‘Environmental factors such as a history of anxiety or depression, pesticide exposure, head injury, rural living, farm work and well-water have all been linked with an increased risk, while coffee drinking, alcohol consumption, high blood pressure and the use of anti-inflammatory drugs appear to be associated with a lower risk,’ Dr Noyce explains. Recently, however, experts have been rethinking the gene factor. A family history of Parkinson’s is strongly linked with an increased risk. And, while only 5-10% of sufferers have inherited a single faulty gene, it’s now believed that changes in multiple genes, each with a relatively weak effect, combined with the other risk factors, may be key. Genes load the gun but environment and lifestyle pull the trigger, as it were. Meanwhile, researchers led by Dr Richard Wade-Martins of the University of Oxford are investigating how stem cells (primitive cells that can turn into any type of body cell) could be used to regenerate the brains of people suffering from Parkinson’s. In a first step towards this, the team have succeeded in turning skin cells into nerve cells. ‘If we could find a way to mimic what’s going on in brain cells and coax them into becoming dopamine-producing nerve cells, we could potentially turn back the clock in the Parkinson’s brain,’ he says. Does Parkinson's disease start in the stomach? Although this is all exciting stuff, it still isn’t the whole story. Recent US research raises the intriguing possibility that Parkinson’s may not start in the brain at all but in the stomach. An (albeit small) study by scientists from Chicago’s Rush University Medical Center found clumps of alpha-synuclein, a key protein that is found in the brains of people with Parkinson’s, in the colons of people who later went on to develop the disease. Closer to home, a team led by neuroscientist Dr Jeff Davies of Swansea University is investigating whether the ‘hunger hormone’ ghrelin, which is higher before meals, might prevent the loss of dopamine-producing nerve cells. ‘It’s long been known that limiting calories is neuroprotective, but the exact mechanism has been unclear. We also know that calorie restriction raises ghrelin levels and that, in the lab, dopamine and ghrelin work together,’ explains Jeff Davies. Proteins linked to ghrelin action are present in brain cells affected in Parkinson’s. ‘We want to see what it does in the Parkinson’s brain. If we can pin down the mechanism, then it could lead to new treatments,’ he says. Drugs that mimic the action of ghrelin are currently being developed and the hope is that these could be harnessed to boost resistance to Parkinson’s or slow its progress. Contact the Parkinson’s UK research team to find out more about getting involved in Parkinson’s research. Visit www.parkinsons.org.uk/research. Researchers funded by Parkinson’s UK, the support and research charity, are seeking thousands of people across the UK to help to discover a biological marker for Parkinson’s that would help to detect the disease and measure progress. If you’ve been diagnosed with Parkinson’s in the past three years and would like to find out more or take part, visit parkinsons.org.uk/tracking or call the freephone helpline 0808 800 0303. Those living in the Thames Valley region can take part in the Oxford Parkinson’s Disease Centre Discovery Project by contacting the DeNDRoN NHS research team. Email parkinsons.discovery@nhs.net, visit parkinsons.org.uk/discoveryaward or call 01865 234892. You can also contact Glasgow University: email info@proband.org.uk, or call 0141 232 7846. Parkinson’s Awareness Week is April 15-21. This article originally appeared in Saga Magazine . For more fascinating articles like this, delivered direct to your doorstep each month, subscribe today. Find the perfect live-in carer with Country Cousins, part of Saga Healthcare. Care where you’re happiest. Home.